Florida is one of my favorite vacation destinations. The beautiful, clear water and white sandy beaches are so amazing. I’ve been to Seaside and Destin, Jacksonville and Tampa, and even Key West. But I’ve never had the chance to visit Central Florida and the Orlando-area. I’m hoping that when Andrew is older, we’ll get to visit Disney World and Orlando Studios with a vacation to that area. 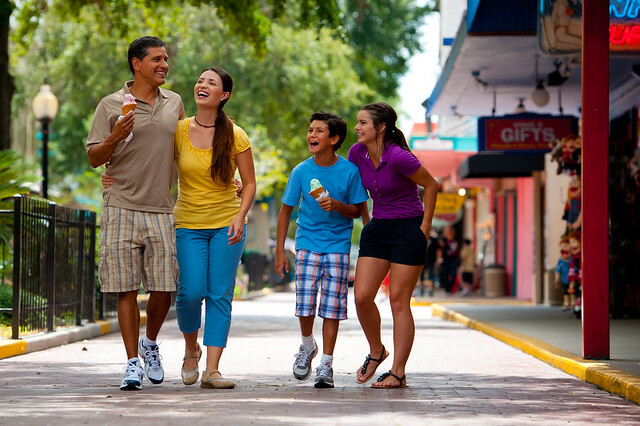 Kissimmee, Florida is the perfect family vacation spot. 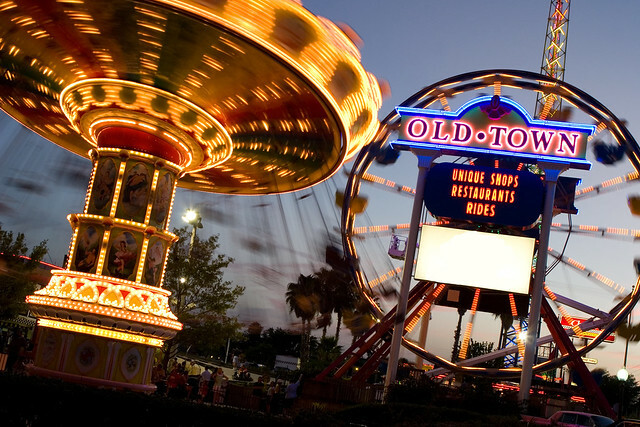 Just a short ride from Disney World and Orlando Studios, you still have the chance to visit these huge attractions. But you get to stay in a more affordable area with a hometown feel. From the time we spent at Disneyland Paris, I know how important it is to step away from Disney and the crowds for a bit. 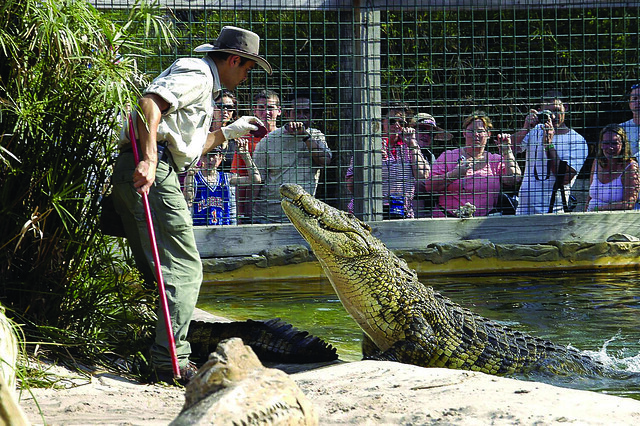 Gatorland: A great family outing, this 110-acre theme park and wildlife preserve, combining “Old Florida” charm with exciting new exhibits and entertainment. 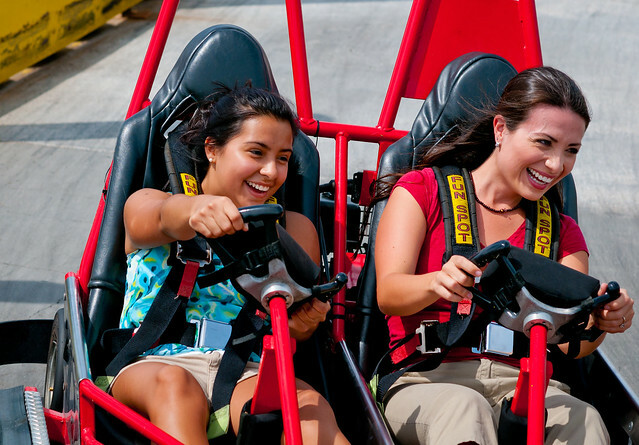 Zip Orlando: Perfect for the daring outdoorsman, this dynamic adventure is just minutes from all the big attractions. They have the largest tour, most bridges, and the best experience! Resorts and Spas: The best way to indulge yourself on a vacation! 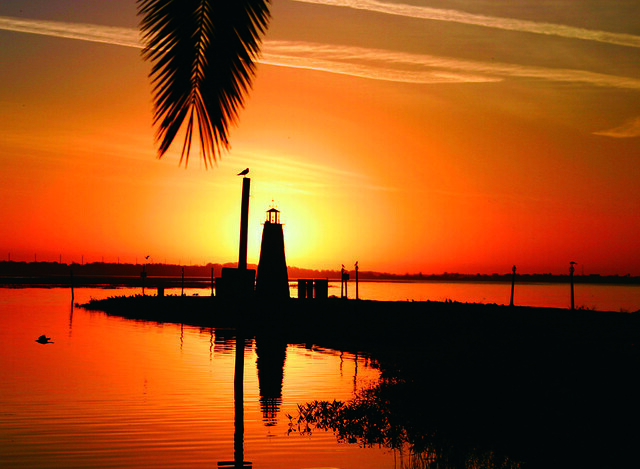 Choose a relaxing local sanctuary from some of the best spas in Florida. Golf Academies: Hit the course with private and group golfing lessons taught by some of the top instructors. Your game could make a turn for the better. 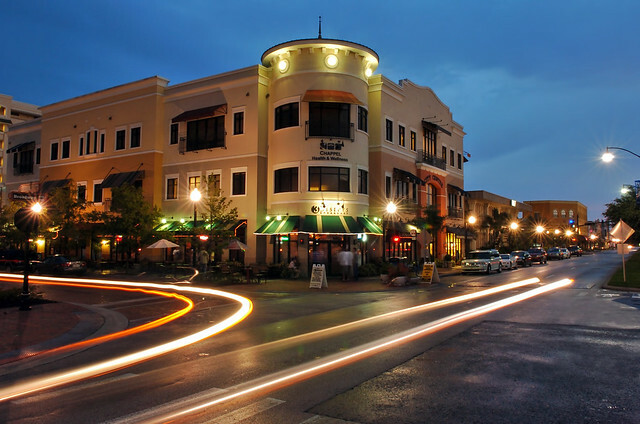 Kissimmee is a destination for many Dallas residents — we’re among the Top 5 cities in the country who visit this Old Florida city! Sounds great, right? Here’s your chance to see for yourself. Enter the Decade of Kissimmee Memories contest for the chance to win 10 trips for the winner (and up to five guests each trip) over the next 10 years to Kissimmee, Florida! The winner will receive airfare, accommodations and a rental car for each trip. Click here to read about the contest and how to enter. Good luck! Disclaimer: Contest information and photos provided by Experience Kissimmee. I received no compensation for this post — I just think it would be an awesome contest to win! It’s sad to say but I’d never even heard of Kissimmee but it seems like a very cool place to go! You definitely need to check it out, Dawn! I LOVE Florida!! I’ve only been twice, but I think it’s gorgeous! We took our big kids to Disney World in 2007 and I can’t wait to go back when our little ones are a little older and can really love the whole experience! Love this! I am a big fan of Florida getaways! My brother and sister-in-law live in Orlando with their family. So I’ve been there, but never to Kissimee. Looks like a fun place though! I love Old Town. I could go there every night just to walk around. The shops are great. I hope to get back there soon.